It didn’t take The Game Awards to officially confirm the existence of Far Cry New Dawn. 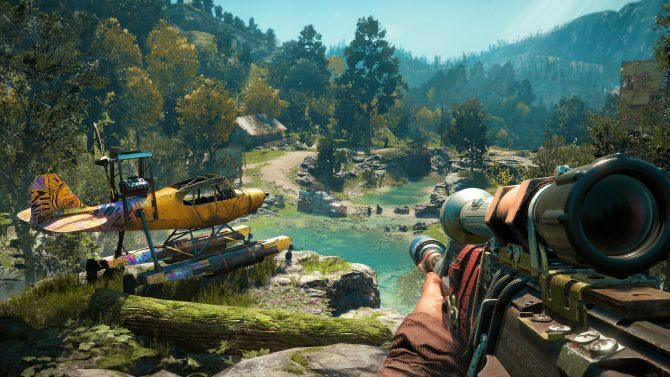 About an hour before the show was set to start, an Amazon page appeared for Far Cry New Dawn, esentially confirming the leaked cover art that was floating around earlier today. Bearing new screenshots, gameplay information, and a price, Amazon’s listing essentially pulled a Walmart Canada (Rage 2, you deserved so much more). The new Amazon listings screenshots place an emphasis on exploring, surviving, and repurposing old weapons. In fact, Amazon’s listing suggests that the game is very similar to Fallout 76. 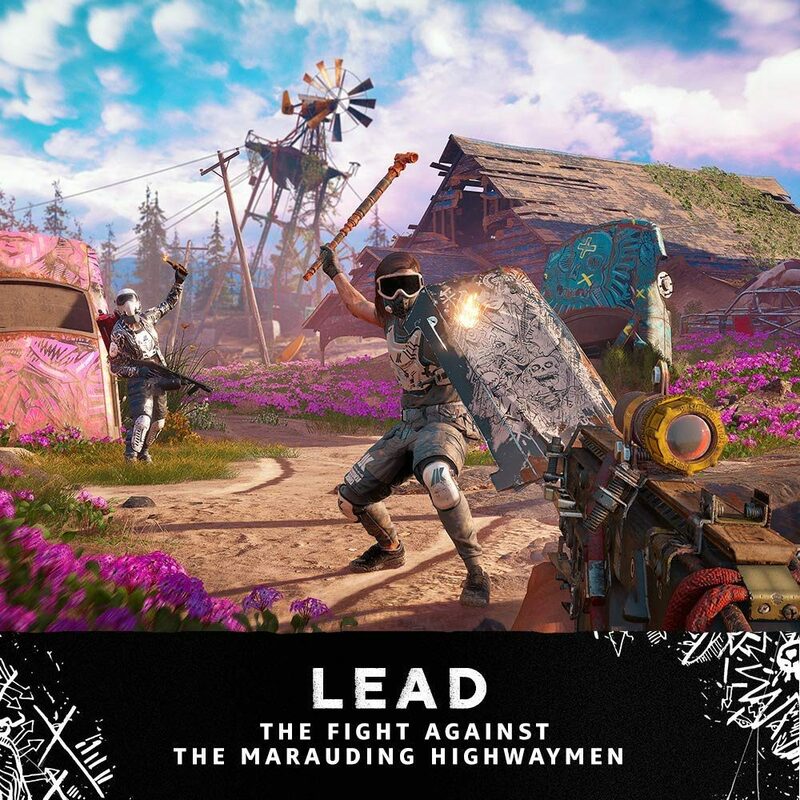 Not only does Far Cry New Dawn take place in a post-apocalyptic world, but it also asks players to do things like “take up arms to fight alongside a friend in online co-op,” and, “build up your home base and recruit specialists to upgrade it as you unlock all-new features.” Additionally, the Amazon listing all but confirms that Far Cry New Dawn will be a direct sequel to Far Cry 5, as the page reads, “Battle your enemies for resources in Hope County and around the country as you venture to new locations.” For those that need a refresher, Hope County is the fictional Montana county where Far Cry 5 took place. 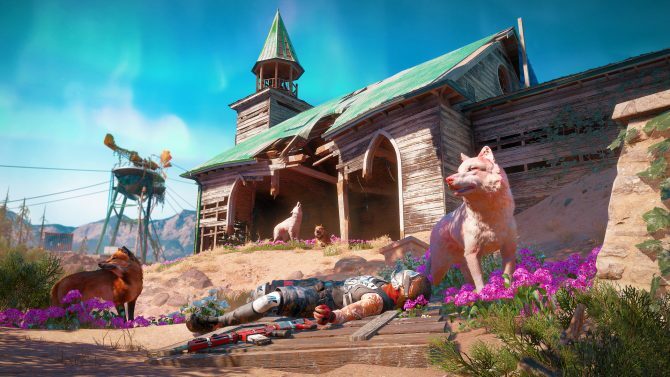 Thematically, Far Cry New Dawn tracks as a sequel to this years’ Far Cry 5. Fears of an authoritarian, cultish despot usually go hand in hand with years of a prolonged nuclear winter. 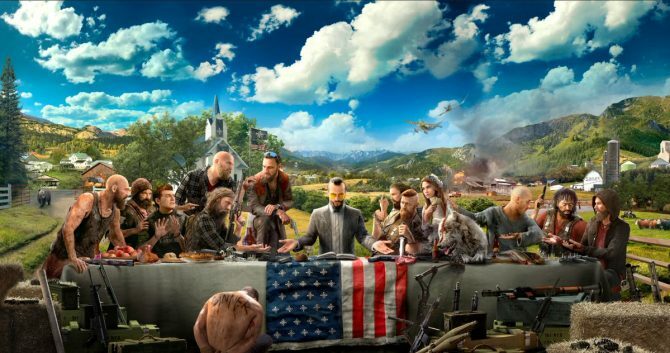 While Ubisoft has tried to stay away from the political discourse in the past (despite, you know, actually being political), it seems like Far Cry New Dawn is ready to hit all of the beats that Far Cry 5 was leading to. Amazon is currently listing two distinct editions of Far Cry New Dawn, a standard edition and a deluxe edition. While the standard edition only grants access to Far Cry New Dawn‘s base game (whatever that is), the game deluxe edition gives players the Hurk Legacy pack, the Knight Pack, the “Blast-Off” Rat4 Skin, and the Retro Sci-Fi M133M Skin. 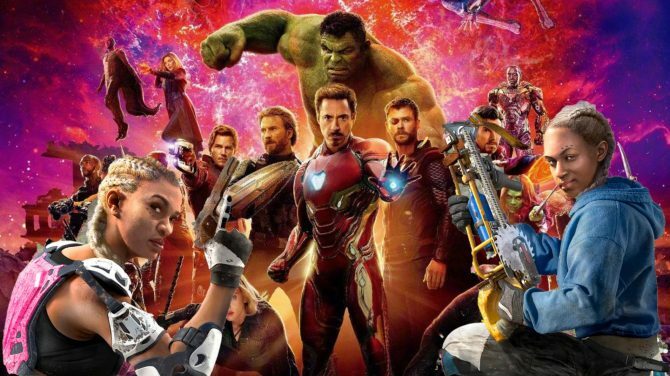 Hopefully, by the time The Game Awards is over, we’ll actually know what any of this means. You can check out Far Cry New Dawn‘s Amazon listing here. Right now the game is listed for $39.99 for the Xbox One and PlayStation 4 with a release date of tomorrow. Of course, you should take Amazon’s price and release date with a grain of salt until we hear directly from Ubisoft.